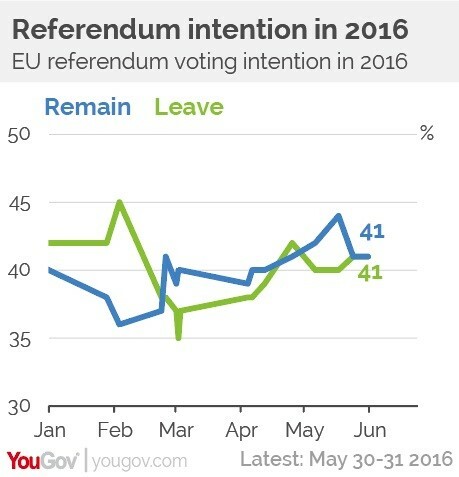 June 01, 2016, 10:52 a.m.
Latest YouGov / The Times EU referendum voting intention: Remain 41%, Leave 41%, Don&apos;t know 13%. 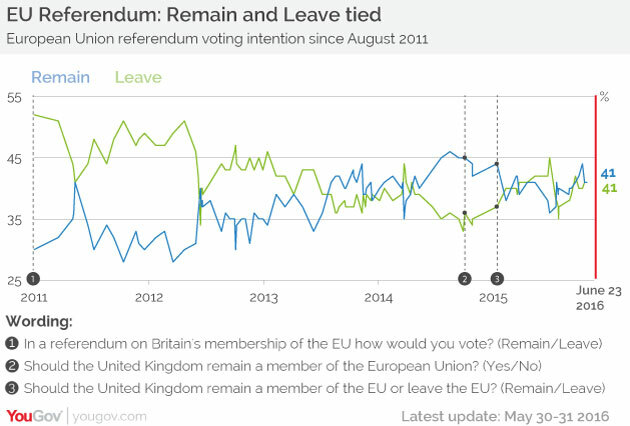 A new YouGov poll for the Times shows the EU referendum campaign is still tied. This indicates no change from our previous poll on the 24th of May.